MOL TRIBUTE, operated by Ocean Network Express (ONE), renewed a loading record with 19,190 TEUs (including 38 TEUs void slots). The previous loading record was 18767 TEUs by MOL TRADITION in late December 2018. MOL TRIBUTE, which is deployed in ONE’s Far East Loop 2 (FE2) service in THE Alliance (THEA), achieved the record on her Singapore westbound departure to North Europe on 11 Feb 2019, and it was the first time for ONE to surpass 19000 TEUs containers onboard. The global XSI fell 1.6% in Jan-19 to 106.58 points, continuing the downward trend recorded since Aug-18. During this six-month period, the index has lost 5.3% of its value, having shed 5.92 points and now stands at a similar level to that recorded in May-17.Year-on-year the global benchmark is 2.1% lower than Jan-18. However, if the index reports similar changes to those witnessed during the first few months of 2018, then we may only see minimal changes in the next few months.XSI - Europe Imports / ExportsIn Jan-19 European imports on the XSI fell 1.3% month-on-month to 108.01. CJSC Eurosib SPb - Transport Systems tgether with the Zhengzhou International Hub company (ZIH) started the first transit container train through border crossing of Grodekovo (Far East railway, RZD). The Container train follows the route Hamburg (Germany) - Zhengzhou (China).The first train with 43 forty-foot containers was dispatched on 28 December. On January 12, the train reached the border crossing Grodekovo (Russia) - Suifenhe (China).Normally, within couple of days, it will arrive at final destination. At the same time, Eurosib is preparing the opposite direction train. In late December 2018, two vessels operated by Ocean Network Express (ONE), namely “MOL Trust” and “MOL Tradition”, set a loading record of 18,694 TEU and 18,767 TEU respectively.“MOL Trust”, which operates in ONE’s “Far East Loop 2 (FE2)” service in THE Alliance, achieved the record on her Singapore westbound departure destined to North Europe on 24 December 2018.“MOL Tradition”, which operates in the same FE2 service, renewed ONE’s record on her Singapore westbound departure on 29 December 2018. 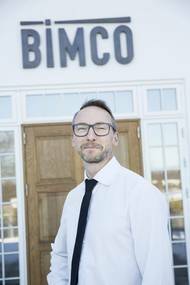 Reflections 2019 – Market Analysis Section By Peter Sand, Chief Shipping Analyst.This article contains extracts from BIMCO’s Reflections 2019, which will be available in full on 2 January 2019 on www.bimco.org and will be sent out to all BIMCO members alongside their free member copy of BIMCO’s Holiday Calendar 2019.Where do we go to find economic growth that spurs shipping demand in the next five years? According to the International Monetary Fund (IMF), we should look towards emerging and developing countries.